Chinese Medicine and Applied Kinesiology in Penfield: What does a Chiropractor do to restore you to Full Function? 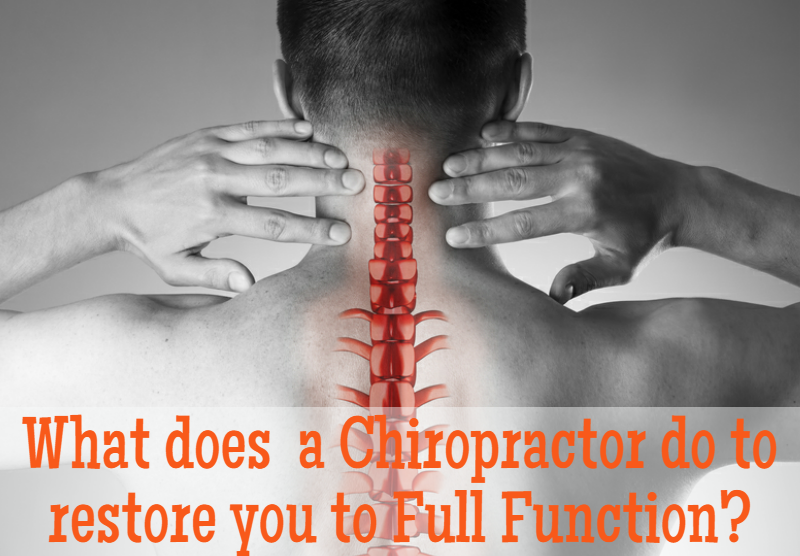 What does a Chiropractor do to restore you to Full Function? In the US, a major percentage of the population engages the services of a chiropractor doctor for treating several conditions. But, who is a chiropractor and what is chiropractic treatment all about? While doctors primarily focus on making spinal adjustment, which is the primary method of treating a patient yet this is not the only thing they can do. Apart from spinal manipulations, a chiropractor also offers physical rehabilitation. Since, the main objective of a chiropractor is to provide spinal adjustments; they work to restore correct placement of the spinal structures thus decreasing nerve pressure and frustration. This assuages pain, increases mobility, and provides an overall sense of well-being. So, whether you are suffering from back, joint, or neck pain for years or have suffered a recent injury, there is no need not resign yourself to limited movement or activity. You can now take charge of your health and well-being with help from your local chiropractors. Chiropractors are included as members of the mainstream medical team and treat problems related to the muscles, bones, ligaments, tendons, and the nervous system by performing soft-tissue therapies or prescribing remedial exercises, besides spinal manipulation to help you get cured without the usage of surgical intervention or pharmaceutical drugs. Chiropractic physicians while treating a patient doesn’t just consider the symptoms, they consider the “whole patient”. Besides spinal manipulation, chiropractors are also trained at offering corrective exercises, advanced nutrition, along with dietary and lifestyle recommendation. These physicians are also trained to amalgamate chiropractic treatment into modern medical care to develop a treatment strategy for ensuring overall health and well-being. Over the past few decades’ chiropractic treatment has witnessed phenomenal popularity because of rise in number of clinical successes and abundance of positive feedback from patients. In fact, for many it has become a first choice of treatment before getting under the knife. Aimed at perking up your musculoskeletal mechanics and strength while alleviating discomfort caused as a result of pain, the main objective chiropractic line of treatment is to restore you to full health while promoting the natural healing ability of your body. So, if you are looking for a Chiropractor in East Rochester, NY, you will come across several practitioners offering reliable services.